See all the best of the Whitsundays with day tours that offer snorkelling in the fringing reefs of the Whitsundays as well as a stop to Whitehaven Beach and Hill Inlet Lookout. Get up close with the stunning marine life of the Whitsunday Islands with fun snorkelling activities, taking advantage of the warm waters and abundant marine life. At Whitehaven Beach, you can relax on the cool silica sands before heading to Hill Inlet Lookout for stunning views and great photo opportunities. Don't miss a thing with these action packed day tours that do it all! 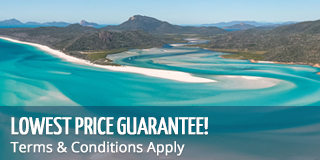 Only have a day to explore the Whitsundays? Visit 3 spectacular destinations in only 1 day with Whitehaven Xpress! Sightsee, snorkel and explore with Whitehaven Xpress! Set sail on the beautiful and rare Australian yacht, Lady Enid, and make the day all about you!